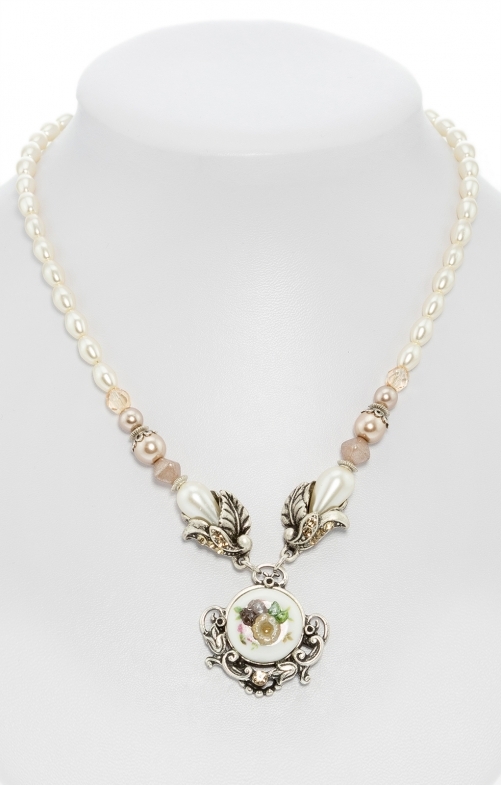 Luxurious pearl necklace by Schuhmacher with flower pendant in taupe. The traditional necklace from our online shop ensures a stylish appearance. The pearls lie smoothly around the neck. The generous pendant combines floral silver embellishments with crystal trim. Different beads on the pendant complete the picture. The pearl necklace is perfect for festive occasions.